Many household wastes that are used on a daily basis are hazardous which you may not have realised. Paint tins, aerosols and oil are all classed as hazardous waste which should be disposed of correctly. 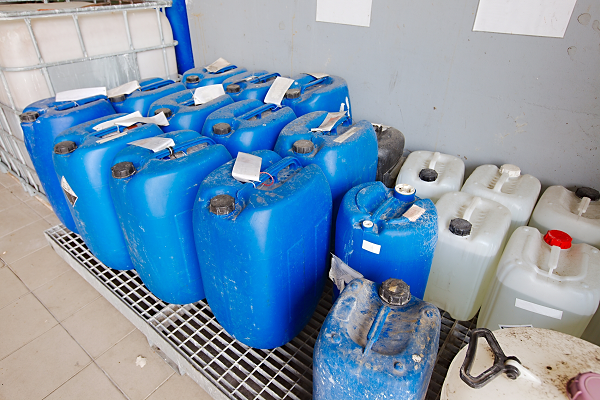 In our hazardous waste transfer station we handle many types of hazardous waste in all shapes, sizes and quantities. Our specialised team work through the waste consigned into the waste transfer station to recycle all possible products. All hazardous waste can only be consigned into our transfer station if you have a waste carriers licence. If you do not have a waste carriers licence then we have a variety of vehicles within our fleet to collect the waste that you may have. This can be from a few aerosols worth to a full lorry full. Please give us a call for more information on waste collection or general questions in relation to hazardous waste disposal.